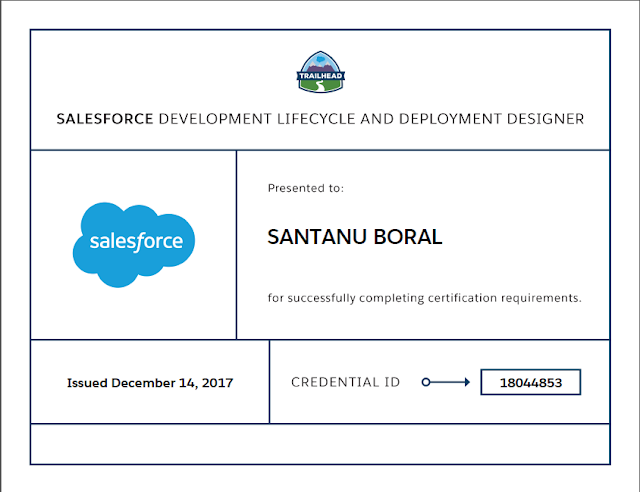 Today (14th Dec'2017) I have successfully passed Salesforce certified Development Lifecycle and Deployment Designer exam. 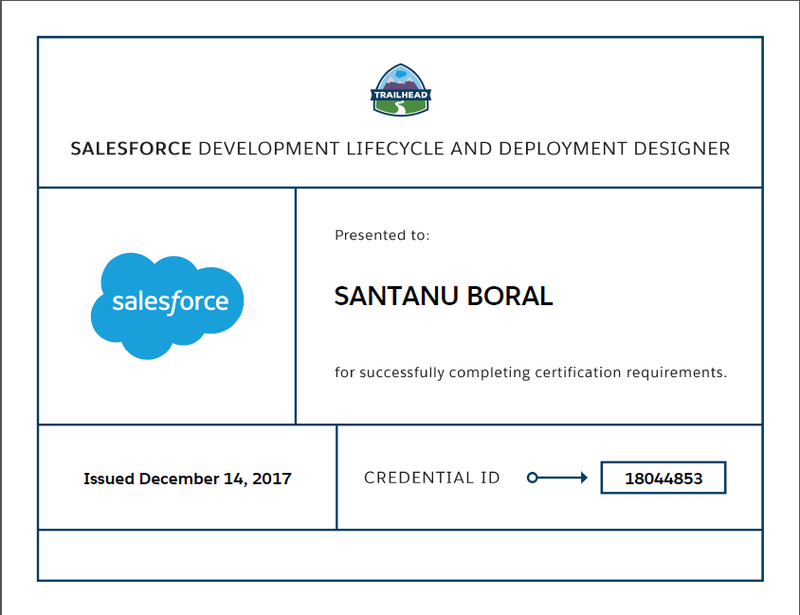 *Please note that as of November 16, 2017, all Salesforce certification exams will contain five additional, randomly placed, unscored questions to gather data on question performance. The duration of each exam has been evaluated and adjusted to accommodate the inclusion of the unscored questions. These five questions will be in addition to the 60 scored questions on your exam, and will have no impact whatsoever on your score. What is the advantages and disadvantages of Waterfall and Agile methodology. Agile accelerator and its usage. Overall, this exam is relatively easy as compared to my earlier architect exams like Sharing and Data designer exams. My real life project experience has helped me passing the exam with relatively few hours of preparation.